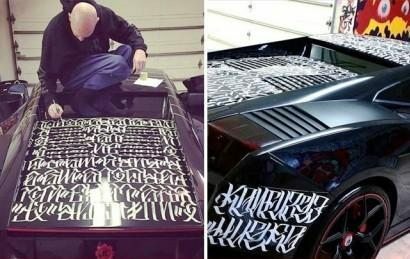 Take a look at the finished car. Although the lyrics seems to be illegible, they’re done quite artistically. 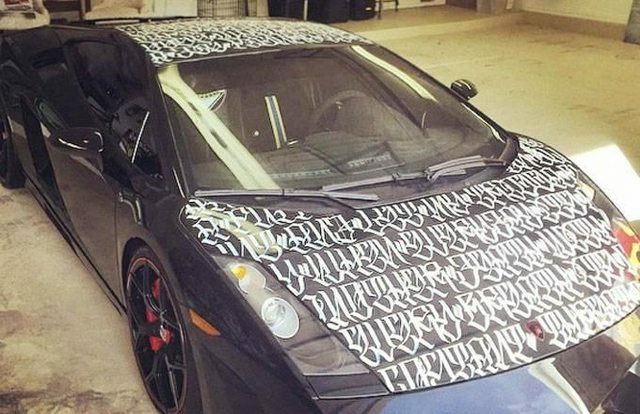 Let us know your thoughts on Breezy’s matte black lambo customized with Pac lyrics.